Driving back from the Organic Seed Symposium in Moncton, NB, Greta Kryger and I also stopped at Patrice Fortier’s farm in Kamouraska, QC. 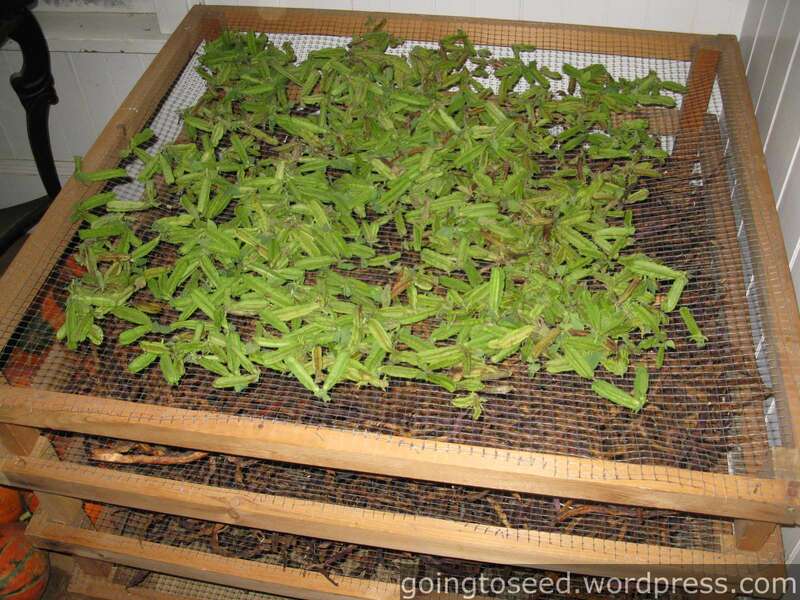 Patrice has a small seed company called la Société des Plantes. 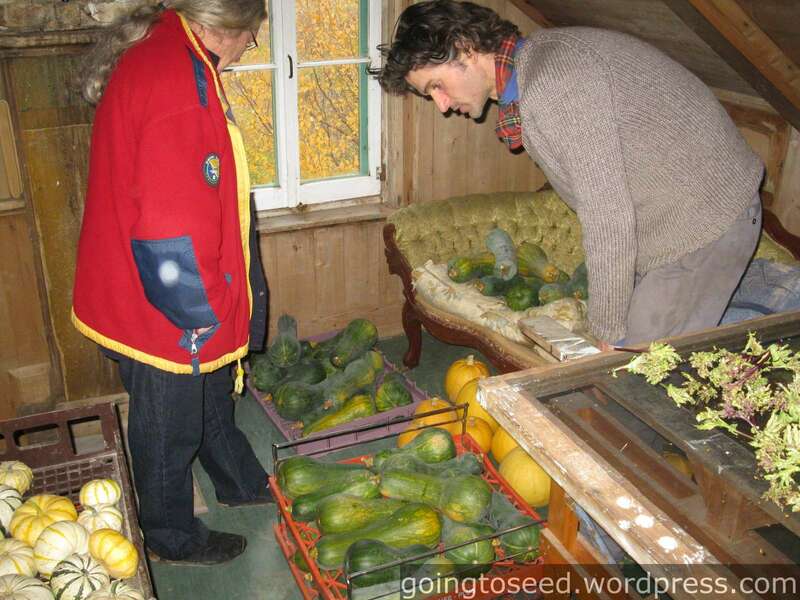 You can visit his website at www.lasocietedesplantes.com (note the website is in French though the crops are sorted by botanical name with great pictures) to see his selection of short season crops for hardier climates and impressive array of uncommon (sometimes even strange) vegetables. Much of the gardens are laid as raised permanent beds that built with ramial chipped wood. 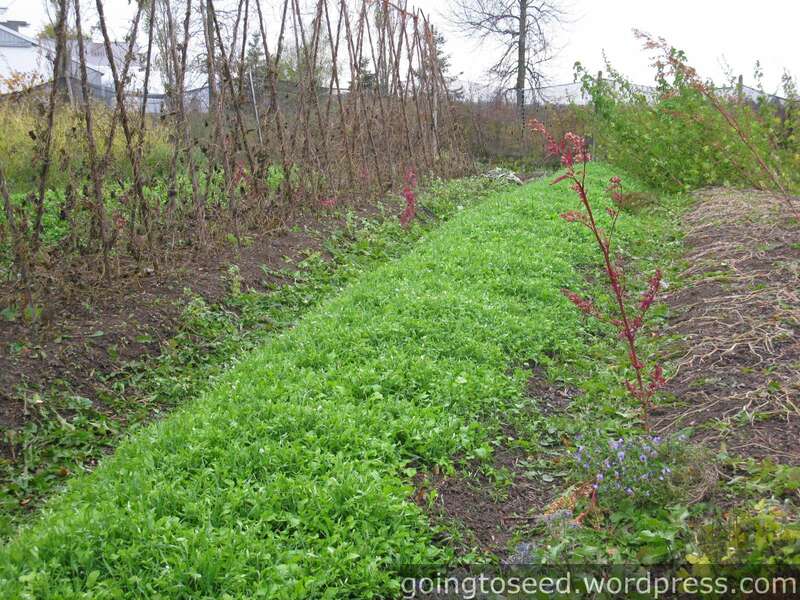 On the left is the remainder of a bean and morning glory trellis, the middle bed is in an oilseed radish cover crop, and the right bed is currently empty. 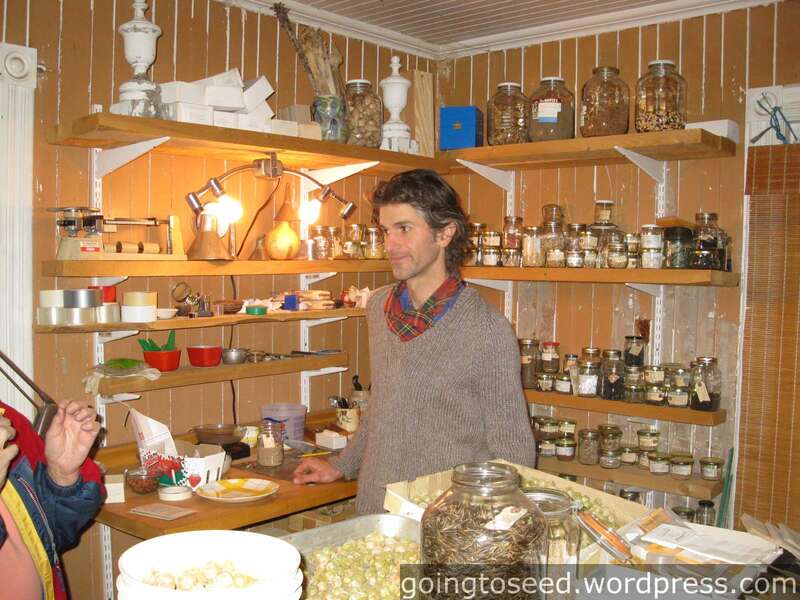 We started in the seed storage and packing room. This is a home-made air column. Dirty seeds go in the black funnel on the top. 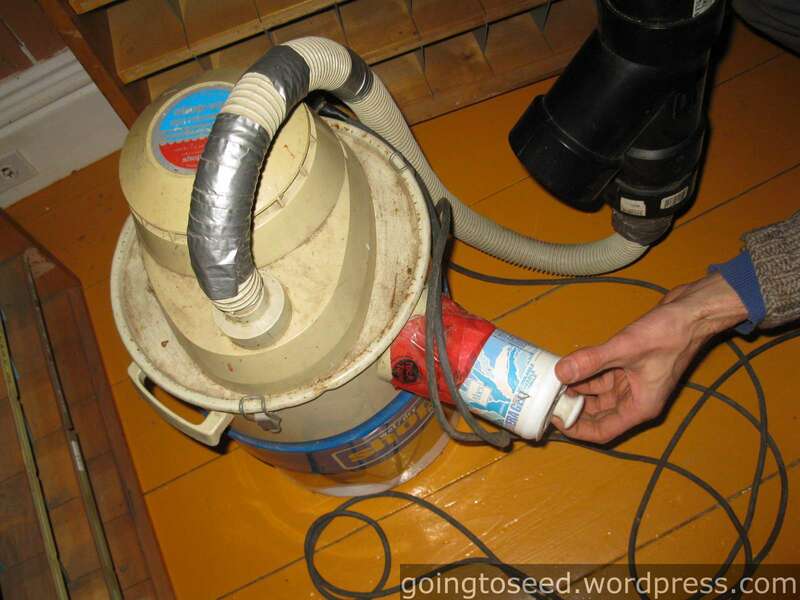 Air blows the light chafe into the bucket on top and the heavier seed falls out the black funnel at the bottom. or still in squash waiting to be processed. 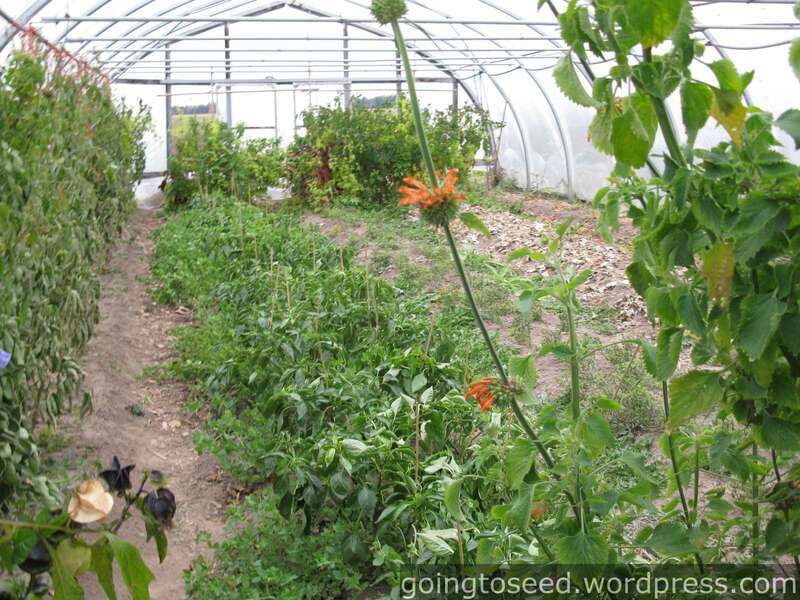 Greta and I had a blast touring through Patrice’s seed world and had much to discuss on our way back to our respective homes. Thank you for sharing pictures of the seed tour. 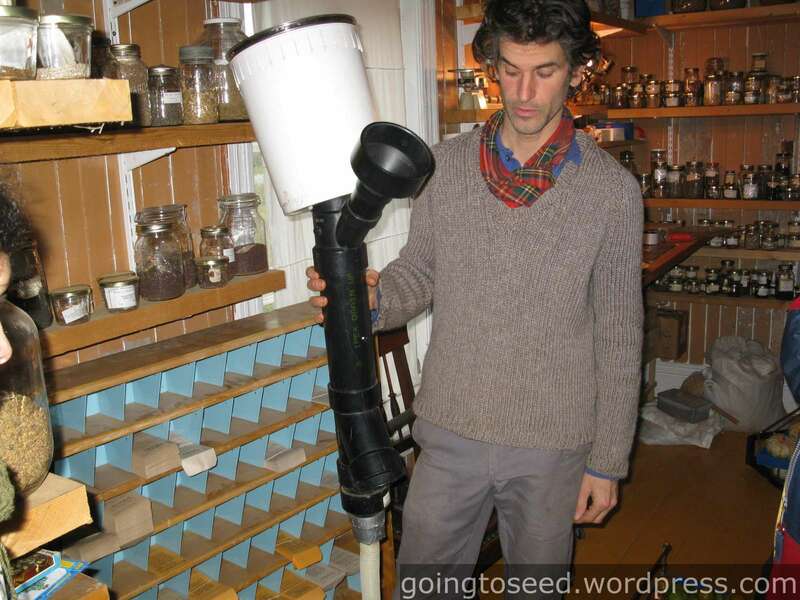 I just might have to try and make one of those seed blowers for myself…what an ingenious way to clean seed. I’ve been thinking the same thing! 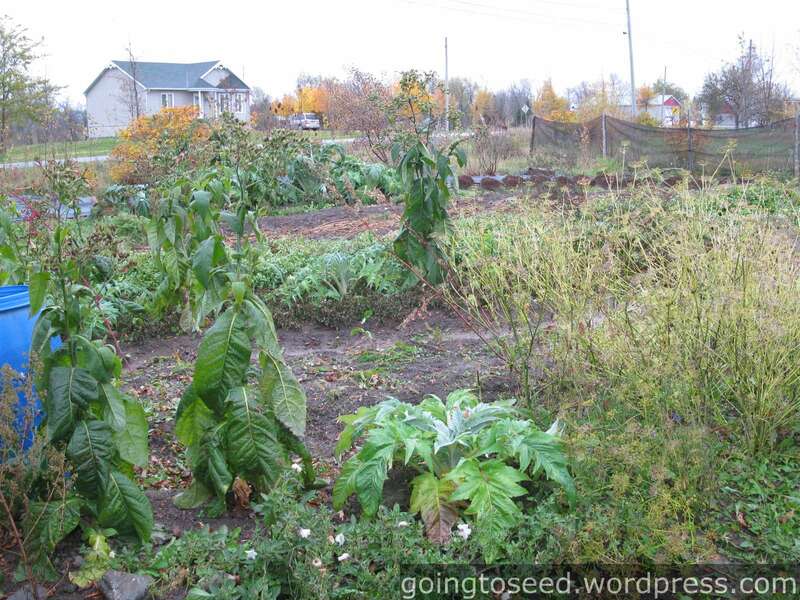 In the next month or so, I will post some pictures of a visit last summer to Greta’s Organic Gardens. I’ll include pictures of her variation on the seed blower. 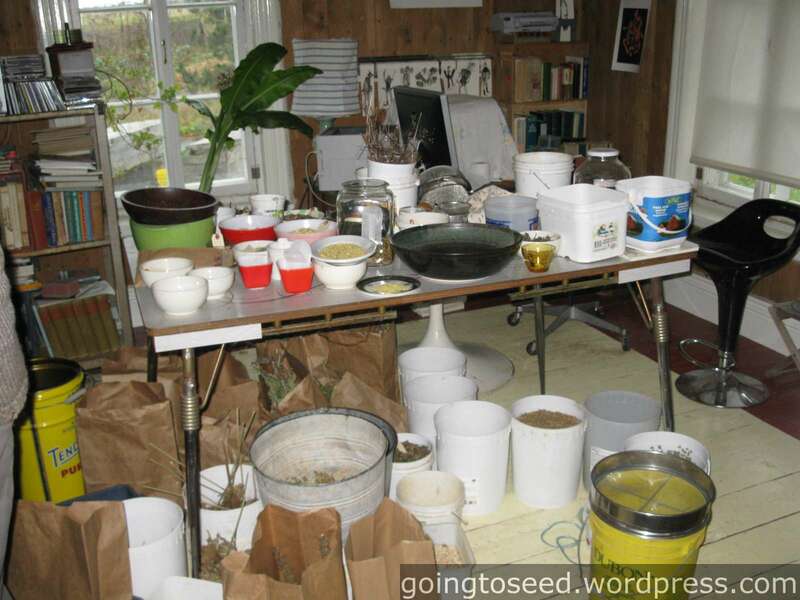 I did a seed-saving workshop with Patrice back in 2009. What a great guy. I love his catalog description too, he’s a real poet. If you buy only one vegetable from him, you must try the Albina Vereduna white beet. It’s the best beet I ever had, period. Tender and sweet as candy! My favorite so far is your article about raising pigs. I’ve gotten more positive for my pig article in the Canadian Article Grower than anything else I’ve contributed to them.